The vibrant and charismatic vibes that Goa exudes are utterly irresistible. Its golden sand beaches and chilled out ambiance never cease to amaze local and foreign travelers. Another thing that adds to the fun and frolic feel of the state is its exuberant festivals. If you miss out on these events in Goa, perhaps, you lose out on a great deal of fun and entertainment. The best way to bring in the New Year is to be a part of the effervescent Sunburn festival, which is held in the beach and party destination, Vagator. Recognized as the most vibrant Electronic dance music (EDM) festival in India, the event hosts some of the finest Indian and International DJs every year. The multi-staged venue of Sunburn is filled with music, dance and entertainment extravaganza. It’s a must for EDM lovers! Goa Carnival is one of the biggest events in Goa, which marks the beginning of Lent. The celebration of this festival dates back to the time when Goa was ruled by the Portuguese. Back in those days, the carnival had a complete Portuguese essence, but current celebrations have Goan influences. Apart from music, dance and entertainment, there is a unique depiction of short plays that give you an insight into Goan culture. If you are an art and literature aficionado, book a Goa holiday tour package during Goa Arts and Literary Festival and make the most of your vacation. This festival is a great opportunity to attend lectures, panel talks, events and other exciting programs. Also, you get a chance to hear out renowned authors, poets, musicians and artists. If you are a Salsa dance lover, this festival is for you. You can enjoy dance performances by national and international salsa dancers. The festival also celebrates other Latin dance forms including zouk and bachata. Along with shack parties and poolside parties, you can also be a part of a series of workshops and championships. Planning a trip to Goa between November and January? Don’t forget to attend The Feast of St Francis Xavier, which usually begins on November 21 and ends on January 2. It is one of the most famous cultural festivals in Goa, where you get a chance to witness an extravagant carnival. This year the festival will be celebrated December 3, 2016. 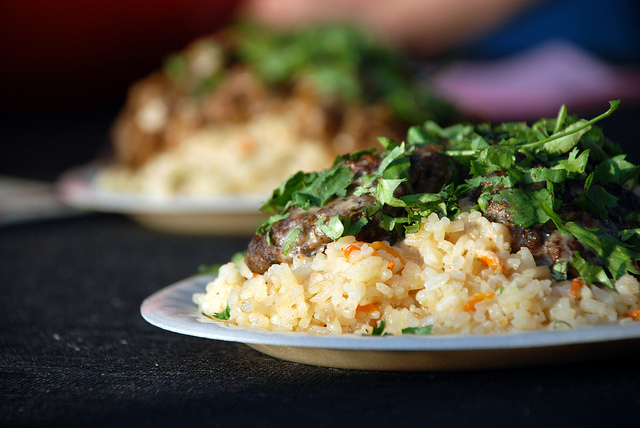 If you wish to dig into authentic Goan food, Goa Food and Culture Festival is awaiting you. During this 5-day festival, cooking aficionados ranging from house homemakers to high-profile chefs showcase their culinary prowess at food stalls on various beaches. And this is your chance to tantalize your taste buds with a wide range of Goan and Portuguese cuisine. Bringing hoteliers, wineries and restaurateurs under one roof, The Grape Escapade is India’s largest wine festival. It offers food gourmets a chance to feast upon a wide range of food items along with some sumptuous wine. Goa Tourism Development has been hosting the event for 10 years now. Soa Joao is one of the most pompously celebrated festivals in Goa, and it is dedicated to St. John the Baptist. The youth all across Goa rejoice the festival by jumping into wells, ponds and streams to retrieve gifts thrown in by villagers. Sao Joao is the most famous Christian feasts in the state. Goa International Film Festival, held in November every year, gives Bollywood buffs a chance to be a part of one of the most glamorous events of the country. Glamorous Bollywood glitterati along with national and international directors and artists attend this event. Do make a note in your calendar right away. International Jazz Live Festival is one of the most uplifting winter events in Goa. Live music acts are performed by Jazz music legends from all around the world. If you have a thing for Jazz, don’t miss it! We have listed the top ten events in Goa, but Goa hosts a plethora of events every year. If you have attended any of these or other interesting events in Goa, do let us know in the comments below. Events in Goa are fun and frolic. If you miss out on these events, perhaps, you lose out on a great deal of fun and entertainment.